As an actor, Redford broke hearts for decades with his blond good looks, sure, but even more by conveying just a tinge of other-worldliness, no matter if his character was a criminal or a mere cad. When Barbra Streisand touched his face at the end of “The Way We Were,” she seemed almost to be encountering a wondrous alien. 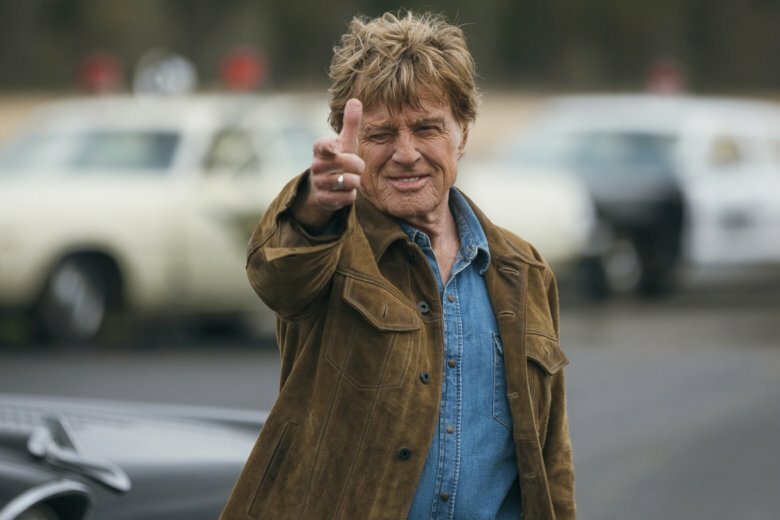 Well, now Redford is 82, an Oscar-winning director and an elder statesman of American cinema, and he’s said “The Old Man & The Gun,” in which he plays real-life bank robber Forrest Tucker, is likely his last acting role. Who knows, but if so, how apt that he’s playing a man who achieved his goals with a gentle demeanor and panache. “You’ve got to hand it to the guy — he’s got style,” said one juror who helped convict Tucker. That last quote is from David Grann’s noted 2003 New Yorker piece on Tucker, upon which “The Old Man & The Gun,” written and directed by David Lowery, is based. A disclaimer at the beginning says the story is “mostly true,” giving Lowery some narrative leeway, especially with the ending and with secondary characters including Tucker’s love interest, played by a sweetly moving Sissy Spacek. But the basics are the same. Tucker not only robbed banks across the country in a decades-long career that began at 15; he also escaped from prison some 17 or 18 times, including a spectacular 1979 escape from San Quentin — in full view of prison guards — in a kayak stenciled with the name: “Rub-a-Dub-Dub.” He finally died in prison in 2004, at age 83. The film follows a series of 1981 heists across Texas and nearby states. The modus operandi is nearly always the same: Dressed in a proper suit and hat, Tucker strides into a bank, tells a manager or teller he wants to open an account, and when asked what kind, says: “This kind,” opening his coat and flashing the gun he carries, but doesn’t need to touch. Enter a determined John Hunt, a real-life Texas police sergeant (that’s his true name, proving that sometimes you really can’t make this stuff up). Hunt, played by an excellent Casey Affleck, is the one who manages to link the crimes together, and to a unique geriatric team that includes accomplices Teddy (Danny Glover) and Waller (Tom Waits), a combination of real and composite characters. He gives her a lift, they get coffee, he tells her he’s in sales. She thinks he’s wearing a hearing aid; it’s really earphones connected to a police scanner. They get to know each other slowly. Meanwhile, the law closes in. One of the more memorable moments comes late in the film, when Jewel visits Tucker in prison. He hands her a list of all his escapes — the successful ones. As he describes them, the screen turns to flashbacks, and we get a glimpse of a young Redford’s face, popping up cleverly to remind us of HIS long career. Were it not for Redford, the film would be — well, why even ask, because Redford is the point. He chose the role, optioned the New Yorker article, chose the director. It’s a perfect role for his swan song. But hey, Mr. Redford? We won’t hold you to that. “The Old Man & The Gun,” a 20th Century Fox release, is rated PG-13 by the Motion Picture Association of America “for brief strong language.” Running time: 93 minutes. Three stars out of four.